Ibiza Marathon 2019, Are you ready Runners? Once again, Marina Santa Eulalia collaborates with the Ibiza Marathon and the Ibiza 12K, welcoming its next edition of 2019 with a video that gathers the best moments of the race held on April 7 2018. More than 2.000 runners experienced the #RunAndFeel experience in this second edition, which exceeded all expectations and demonstrated the potential of Ibiza as a runner destination. A unique opportunity for runners from all over the world to discover Ibiza through their feet, through a circuit that starts from the Port of Ibiza and crosses unique enclaves to reach a unique finish line by the sea, on the seafront of Santa Eulària des Riu. The date of celebration of the next edition will be Saturday 6th of April 2019. Runners who may wish already acquire their bib number for any of the two races from just 15€ on the Ibiza 12K and 45€ on the Ibiza Marathon until the next 1st of JulyThese prices are the same as those established in the 2018 edition and can be purchased exclusively on the event’s official website (www.ibizamarathon.com). This new category called “Ibiza 42K Relay” offers the possibility of completing the marathon circuit between two corridors, in approximate distances to 21 kilometers. The Ibiza 42K Relay is the new category of the competition that the Ibiza Marathon will offer in its 2019 edition. This race offers the possibility of completing the marathon circuit by pairs of runners, who will register as a team and will be replaced in the race in one of the most emblematic areas of Ibiza: Santa Gertrudis de Fruitera. The modality of the marathon by pairs is positioning itself as a novel alternative of competition in the main international events. A new way of living the Ibiza Marathon from a shared distance more accessible to the popular runner and that also allows the possibility of being part of a shared experience with friends or your partner. The Ibiza 42K Relay will take the whole of the spectacular marathon route, but with the particularity that it will be completed between two runners, who will take over in the middle of the race. The first participant will start from the Port d’Eivissa next to the marathon and will compete practically until kilometer 20 of the route. There, you will meet your partner and in the transition zone will give you the relief to continue to the finish line located at the foot of the sea, on the promenade of Santa Eulària des Riu. 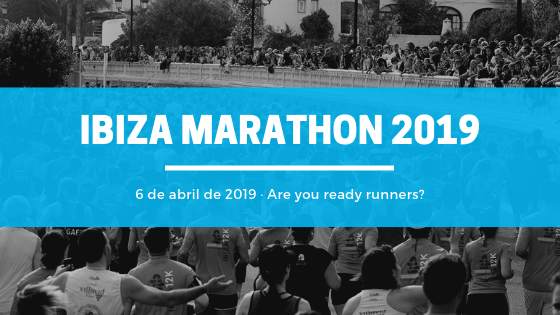 The 2019 edition of the Ibiza Marathon will be the third in its history, where it will once again be confirmed as the largest sporting event on the island of Ibiza after counting its 2018 edition with 2,124 participating runners and an international census coded at 62,17% of the total. With a remarkable progression and growth, in this next edition there will be three competitions that will shape this sporting event: Marathon, 12K and 42K Relay – marathon by relays -. Santa Eulària des Riu will be the starting point of the Ibiza 12K. The departure will take place from our Marina Santa Eulalia offering an experience besides the dream marathon – with different circuits and in different directions – that will provide a unique experience on the Magic Island. Marina Santa Eulalia celebrates the first edition of its Art Fair in July. New Art Market in Marina Santa Eulalia Ibiza! Marina Santa Eulalia will hold a Fire Drill on May 24th.